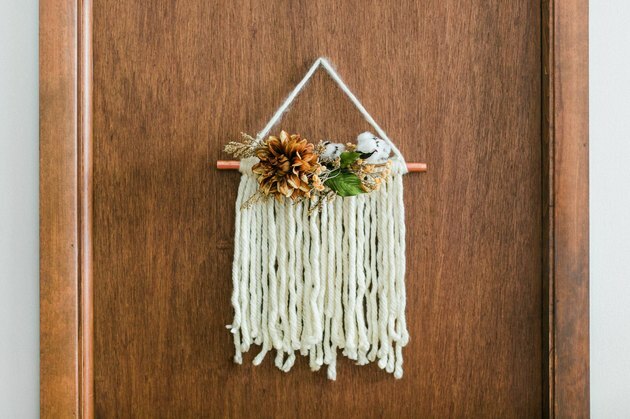 This Thanksgiving, we're challenging you to try something different when it comes to your seasonal entryway. 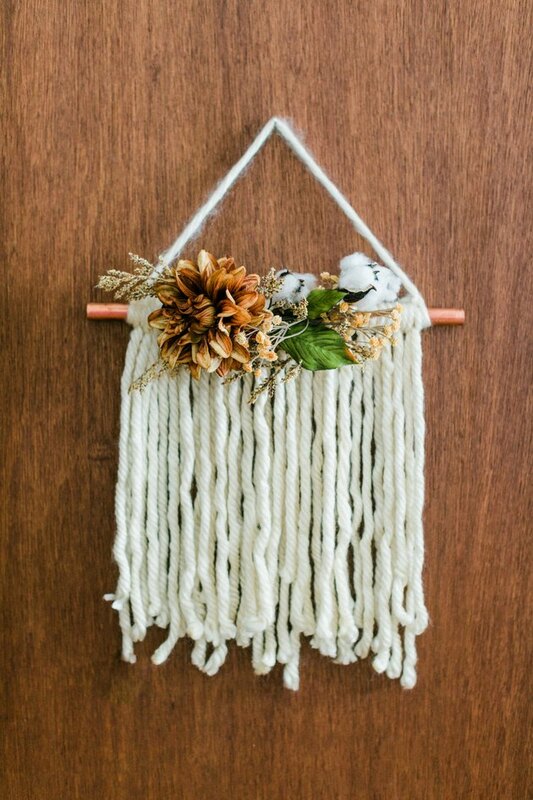 While we love the look of an autumnal wreath, why not try swapping it out for a sweet and simple DIY door hanging? 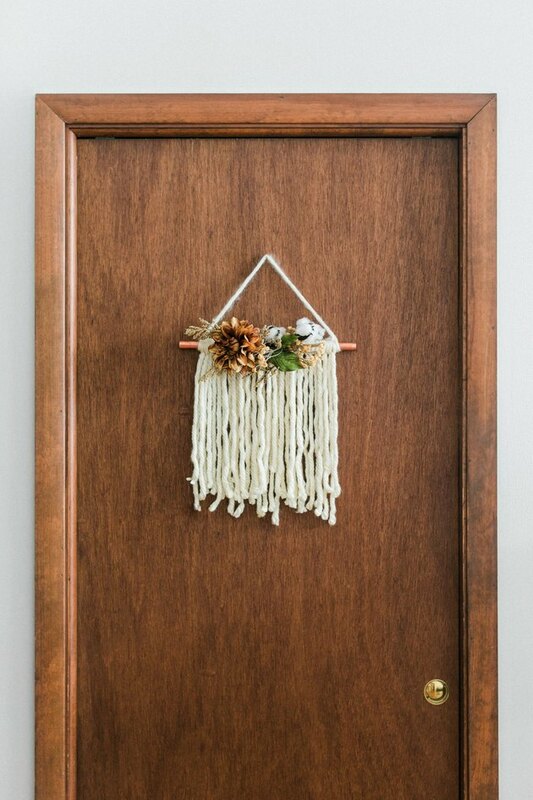 This project is easy to do and a great idea for last minute Thanksgiving decor. 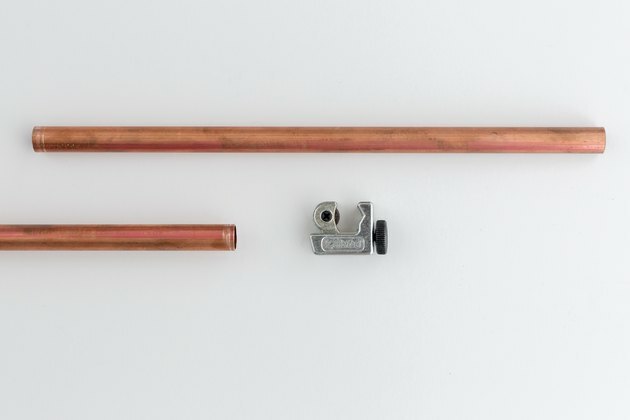 Cut the copper pipe to size using a pipe cutter. Note that your door hanging will have more stability and stay in place more easily if it's a little on the smaller side. 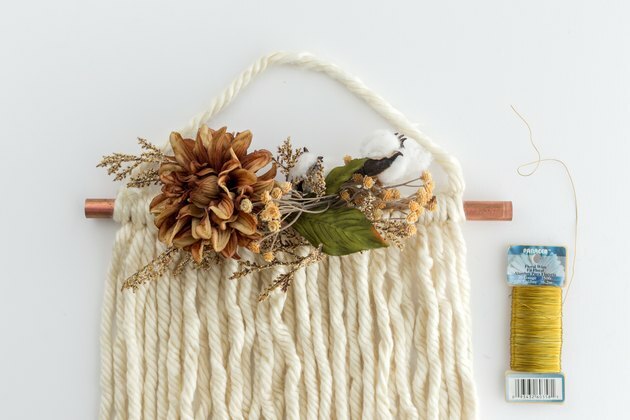 The door hanging demonstrated in this tutorial is 14 inches long. Cut the yarn into individual lengths, about 24 inches long. 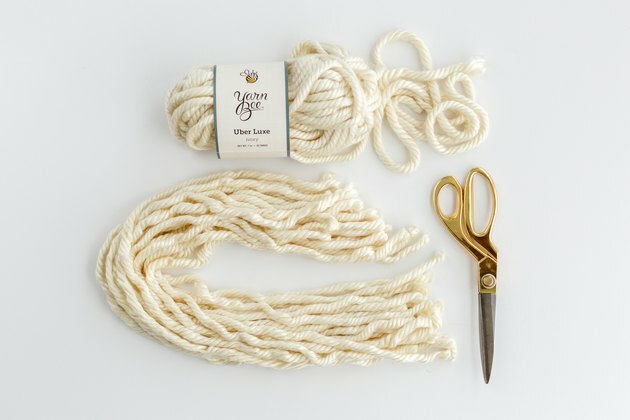 Depending on the type of yarn you use, you'll need between 25 to 35 pieces of cut yarn. 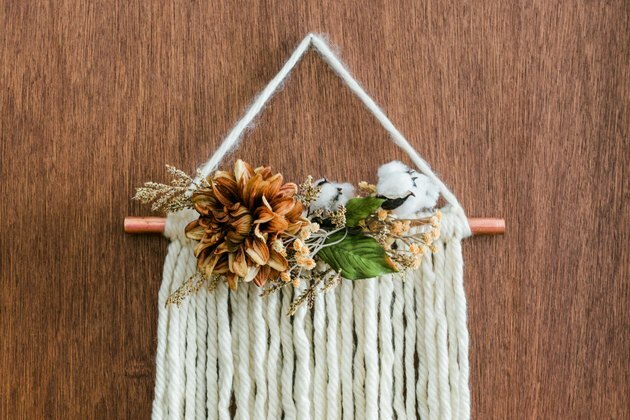 Attach the yarn pieces to the copper pipe using a standard Lark's Head Knot. 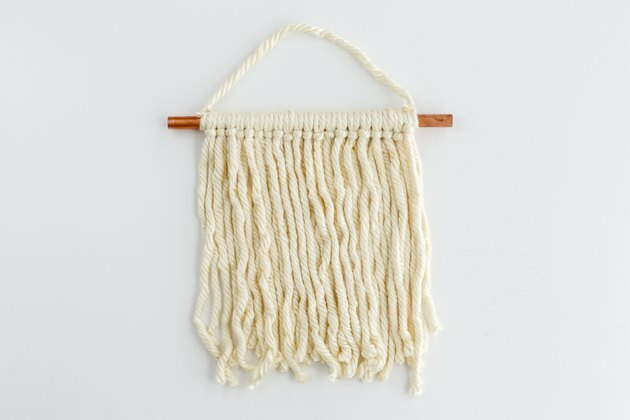 Since this type of knot has you folding the cut yarn in half, your wall hanging should end up being roughly 12 inches long. Triple knot one additional piece of cut yarn on either side of the copper pipe — you'll use this to hang the piece on the door later on. 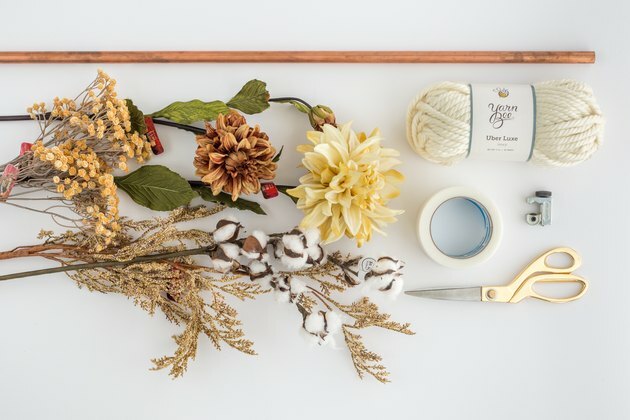 Cut the faux flower buds and dried branches using wire cutters. 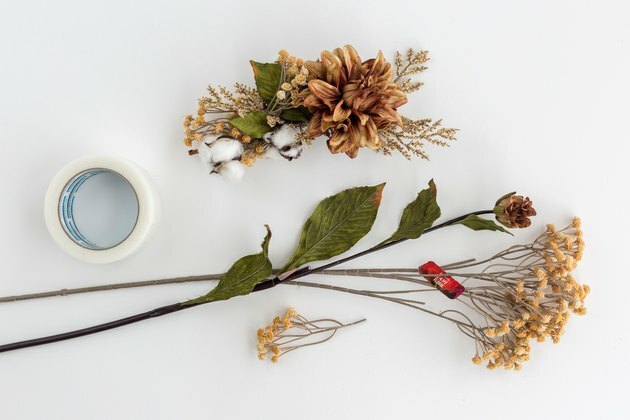 Create an arrangement so that the blooms cover up the bare stems as much as possible, and tape them all together from behind/below using heavy duty transparent tape. Wrap gold floral wire around the faux arrangement leaving plenty of excess wire hanging off. Then, to attach the arrangement securely to the pipe, wrap that excess wire around the copper pipe between the yarn knots. Hang your finished design on an interior door near the entry of your house using a nail or removable hook. The hanging can be used year after year. Carrie Waller is the writer, stylist and photographer behind the lifestyle and crafting blog, Dream Green DIY, which was founded in March 2011. Her work has been featured by Domino, Better Homes and Gardens, Design*Sponge, HGTV Magazine, Country Living, Rue Daily, Glitter Guide, and Apartment Therapy. Carrie lives in Waynesboro, Virginia, with her husband and their four pets.